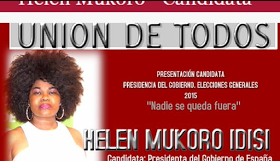 Nigerian born Spanish lawyer, Helen Mukoro, has emerged the presidential candidate of an opposition party for the forthcoming election in Spain. She set a new record as the first woman and an immigrant to emerge presidential flag bearer of a political party in the country. She will be running on the platform of Union De Todos, a party she founded earlier this year. Helen, who is also a forensic expert and author of many books, was born in Delta State and worked briefly in the Governor’s Office before she travelled to Spain in 1992. 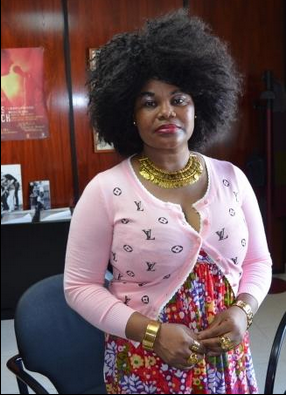 She gained prominence in Spanish politics, when she founded a political party and later became the first Nigerian-Spanish to contest for the Mayor of Denia in May this year. Although she lost the election, her popularity soared higher as several people endorsed her for the highest office in the land. Now that’s super cool. Inspirational.